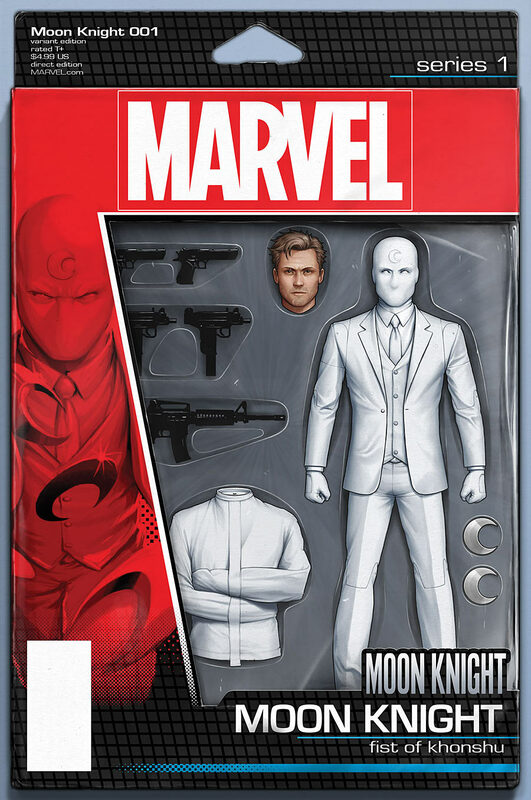 There’s a bad moon rising in the Marvel Universe. 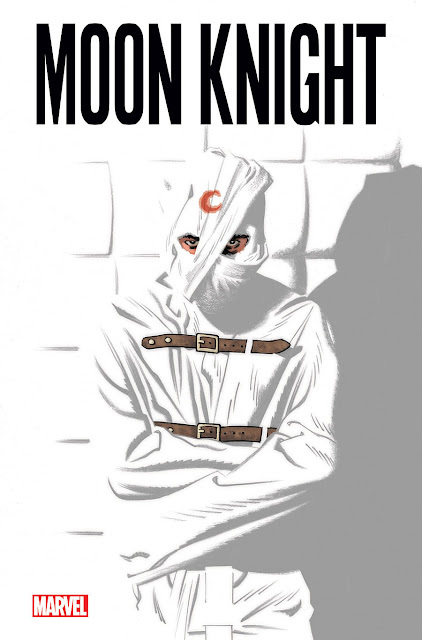 Prepare for a Moon Knight adventure unlike any you’ve ever seen before as blockbuster creators Jeff Lemire (Extraordinary X-Men) and Greg Smallwood (Moon Knight) take you deep into the recesses of Marc Spector’s mind! 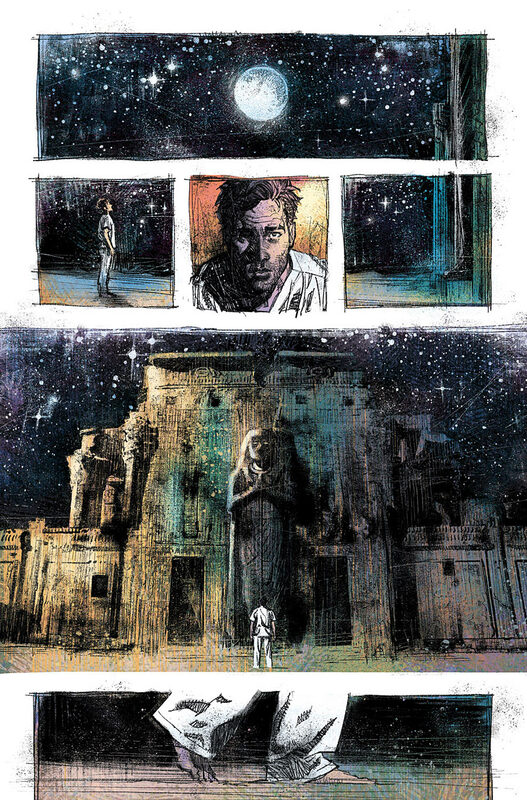 Today, Marvel is pleased to present your new look inside MOON KNIGHT #1 – the brand-new ongoing series debuting in April! 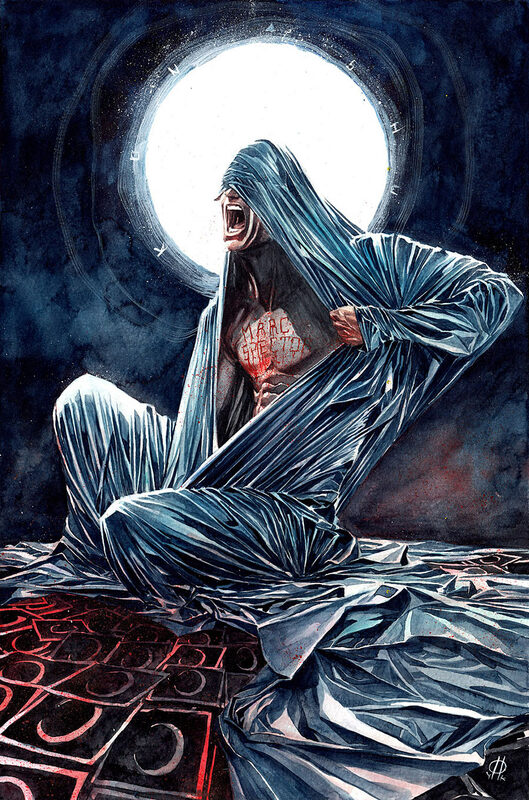 For years, Marc Spector has defended New York City as the masked vigilante Moon Knight. 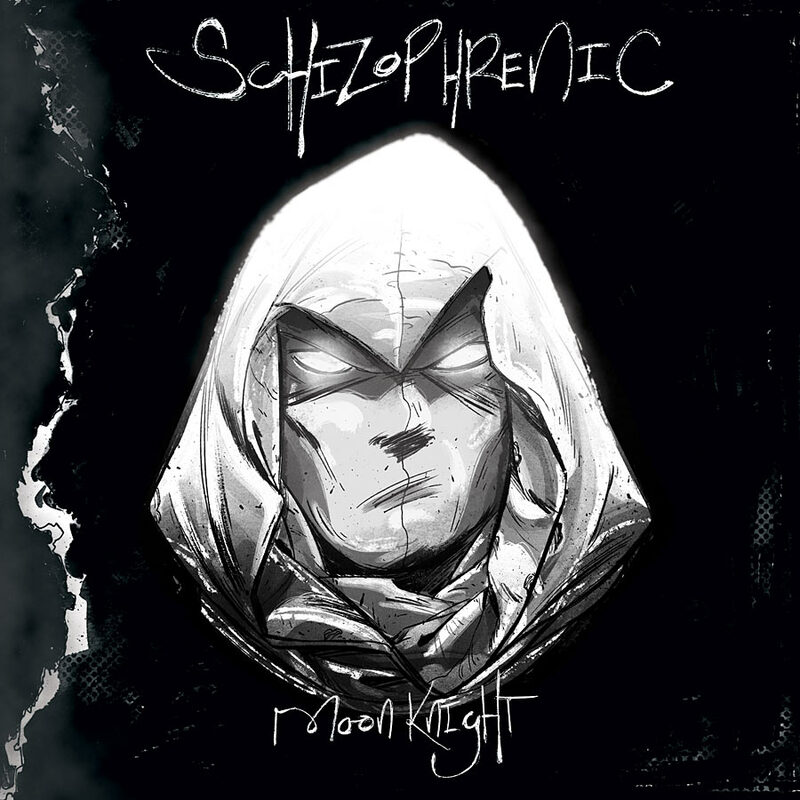 Calling upon the powers of the ancient Egyptian God Khonshu, he has kept the city safe from street gangs and supernatural forces alike. Or has he? 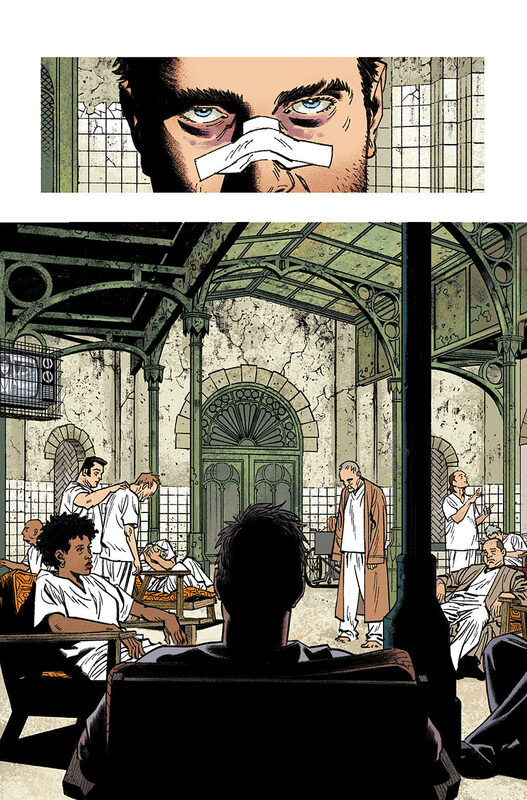 Waking up in an insane asylum will shake anyone’s confidence. But it can’t be true, can it? His mind is full of identities and he no longer knows which is real. His thoughts are clouded and he has no idea what to believe. 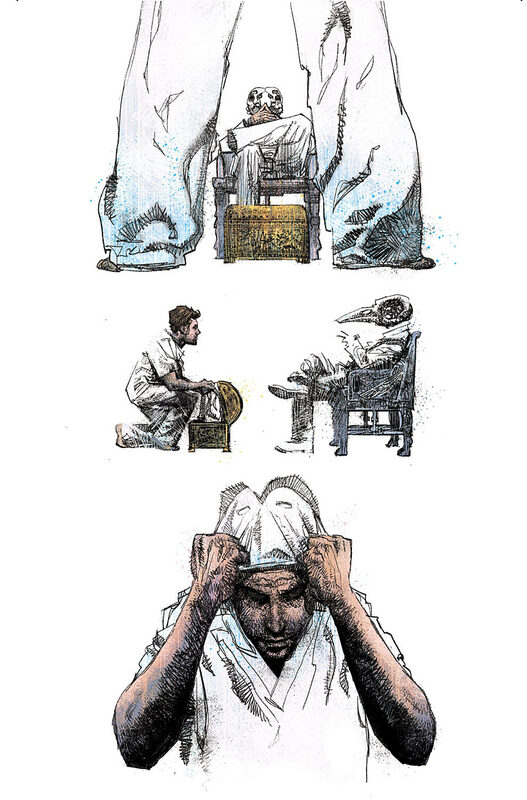 If he calls to Khonshu, he believes he will receive an answer. But is this a sign he still clings to his sanity, or has it slipped from him completely? Something is wrong with Marc Spector. Will Moon Knight be his salvation? Or will it ultimately be his undoing? 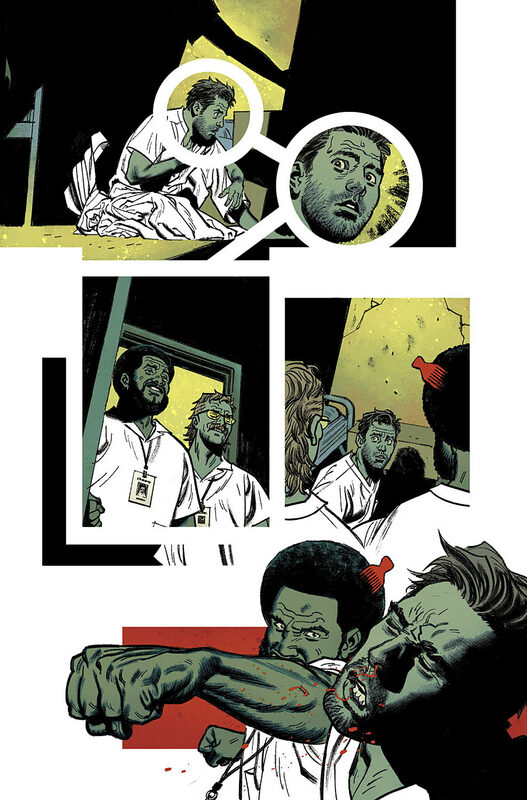 Find out as Lemire and Smallwood take you on a head trip through the psyche of a super hero this April in MOON KNIGHT #1!